I love fresh cherries, but don’t often bake with them as I’m the only one in our house who really enjoys them. At least, I was until now. 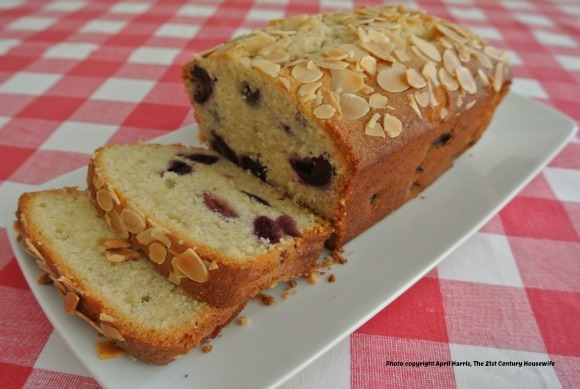 Even my husband, who really does not like cherries one bit, loves this Cherry Almond Loaf. I was inspired to make it by Nigella Lawson, who included a Cherry Almond Loaf made with glacé cherries in her wonderful book How to be a Domestic Goddess. Of course glacé cherries are a very different thing to fresh in terms of flavour and texture so I had to play around with the recipe to get the results I wanted. I even enlisted my husband’s work colleagues to taste test the final two versions of my cake. This recipe was the hands down winner. It does contain quite a lot of butter and sugar but what can I say, it’s the version everyone liked best! I have a little gizmo by Oxo to help me pit cherries which I absolutely love using. This isn’t a sponsored link, I just want to share what works for me. There’s something very satisfying about popping all the little pits out of the cherries. The splatter shield on this design protects the work surface quite well, although it still gives my hands a case of the Lady MacBeths, especially if the cherries are very juicy! The cake keeps very well covered at room temperature for a couple of days, although if you think it might be around for longer I suggest storing it in the fridge. And however tempted you may be to sneak a taste of this delicious cake warm, be sure to let it cool completely before slicing. Grease or line a large loaf pan. De-stem and pit the cherries. Slice each cherry in half and place them all in a bowl. Sprinkle the cherries with 1 tablespoon flour and stir lightly to coat. Set aside. Mix the ground almonds, 1¾ cups flour and baking powder together in a medium bowl. Set aside. Beat the eggs into the creamed mixture, one at a time. Add the ground almond and flour mixture and beat on low speed until it is full incorporated. Add the milk with the mixer still on low speed and then beat the mixture on medium speed for a minute or two. Gently fold in the flour coated cherries with a wooden spoon. Transfer the batter to the baking pan. Sprinkle with the toasted almonds. Bake for 45 to 50 minutes, or until a skewer inserted in the centre of the cake comes out clean. Cool in the pan for 20 minutes, before carefully removing to a wire rack to cool completely before slicing. Cherries are one of my favorite things to bake with. They pair so well with almonds. The almonds look very pretty on top too! I have never baked with fresh cherries, but I love Nigella Lawson’s recipes. Have bookmarked this to try soon! When I saw this on Mouthwatering Mondays, I just had to drop by and let you know how much it caught my eye!! What a lovely loaf of bread..looks yummy! I wanted to invite you to my weekly linky party Share Your Stuff Tuesdays at: http://bit.ly/18KMofU. Oooh I just saw a cherry and almond loaf in Marks and Spencer’s when I was visiting England last week and meant to buy it for my husband…sadly I forgot (and was also already too heavy in my case!! )… I will DEFINITELY give this a try, yum! 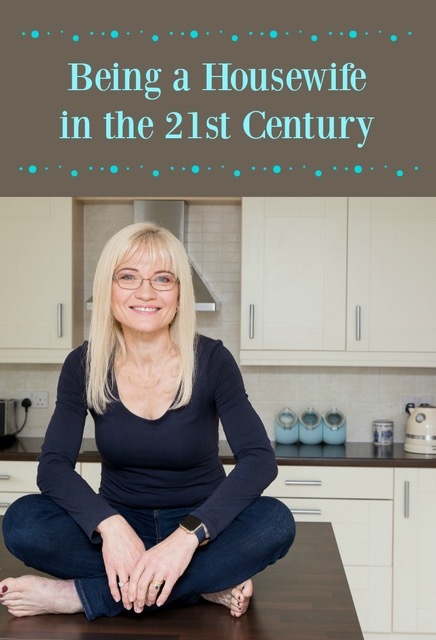 Thanks for sharing, pinning now! My whole family adores cherries so there are never any around for baking. This cake looks wonderful. I love the sprinkle of almonds on top. Thanks so much for sharing this with us on foodie friday. I love the flavor combination of almonds and cherries! The fresh cherries probably taste amazing in the cake. I love the almond slivers on top of the cake – they must add a slight crunch to the crust. Yum! Thank you, Aida! 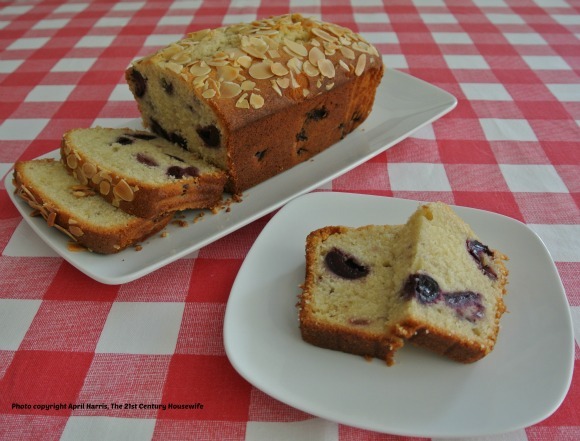 The fresh cherries really do make a difference, and they make the cake really moist too. I love the addition of cherries to your bread April! I have been in a bread baking mood lately and can’t wait to try your recipe! Looks soooo yummy! Thank you, Linda 🙂 I’d love to know what you think when you make it. It is one of our family favourites! What a yummy loaf, April! This is a terrific recipe. I love the cherries, it’s says Spring! I will add this to my ‘must make’ dessert list. Thanks so much for sharing your recipe. Pinning/sharing. Thank you so much, Joanne, and thank you for pinning and sharing too! I love cherries, too April! This would make me very happy! I like the inclusion of the cherries – a lot. That is the best looking Cherry Almond Loaf I have every seen. Those Almonds really make this recipe stand out. This looks amazing, April. I just love cherries and can’t wait for them to finally be in season here. This looks awesome! I’d love to make this for mother’s day. I wonder if I could use jarred cherries rather than fresh, as I haven’t seen any fresh ones yet this year. Thanks for the recipe, pinning for mom! This looks like a great recipe, love the big cherries in there!! Thank you, Tara 🙂 Have a lovely weekend! This looks absolutely delicious April! Wish I could try some now! Looks delish! I love the combination of almond and cherries! I would love for you to share at this weeks parties Sunday through Thursday! Have a terrific week!